Some preachers walk in that fake humility of “not defending themselves” against accusations of scandals because they know that gullible Christians will keep following them anyway. The bible says that you can defend yourself with the Word of your testimony in Isaiah 54, and Revelations 12. Often times the preachers that ignore these scandals or just pay for them to go away, and won’t repent, are the ones that actually are guilty of what they have been accused of. The only ones that defend them are their deceived followers. The sinful preachers won’t repent, they just wait till people forget about it and keep making money. It is clearly a biblical qualification of an overseer to be free from scandal, above reproach, and blameless. When you see a minister linked to multiple sexual scandals, or who is a novice, or who makes money off of fame… or makes a lot of money in ministry, but has no family. There’s a lot of red flags. If a preacher has scandals following him around, but he won’t even testify for himself… why should I believe him? It’s VERY EASY to make a public statement on all the things that happened, and then satan would not be able to make any more accusations, and all the rumours would stop. Preachers that won’t defend themselves from scandal or be honest about their mistakes and repent from them openly (all in the name of false humility) are very skilled at deceiving the flock. They are poisoning the flock and it will have a high cost for those that follow them. Because eventually, a little leaven leavens the whole lump (Galatians 5:8-9). When there is physical retardation or stunted growth in a child, it’s often due to a genetic defect restricting a hormone. When there is a mental retardation or delay in a childs development, it can be due to a substance that has damaged the brains ability to grow. Spiritually, the grace of God is the most powerful resource on the planet, and the Bible is clear that we are born again of INCORRUPTIBLE SEED. There is no excuse for spiritual retardation inside the kingdom. So in the case of a so-called Christian that refuses to grow up in holiness and maturity of the mind, and sobriety of the soul. There HAS be a corruption of the enemy implanted into the spirit or soul. When a Christian claims to follow the Lord for a matter of years, but all of the sudden refuse to produce fruit, it’s often a demonic or worldly element of the evil one that has caused them to resist the grace of God. The enemy has sowed poisonous tare seeds in the middle of the wheat. Why Did Moses Say: Let My People Go, That they may Worship ME? Why Did Moses Say: Let My People Go, That they may Worship ME!? 1. For Worship, for Blood, and for Work. Egypt was the empire of the day. 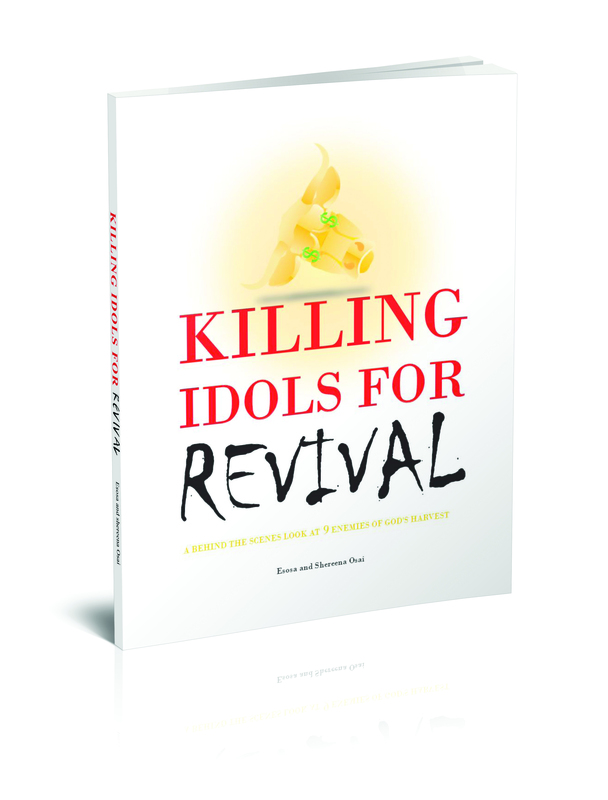 They demanded extreme amounts of idolatry and false worship, and they were stealing it from God. They also demanded a lot of innocent blood, and lot of profits for free labor. Those are two things that cry out to God from the earth according to James chapter 5. God wanted the Hebrews to be a kingdom of priests that worshipped Him. And he wanted their labor to be paid for. 3. For Protocol: No matter how spiritual you are, you will never have control over anyone else’s will. If you seek to control someone else’s will, you are a sorcerer operating in witchcraft, not in the Holy Spirit. So God sent Moses to ask Pharoah to change his heart and his will and his desire for worship and free labor from the Hebrews. Pharaoh hardened his heart, and only then could Egypt receive the plagues. 4. For Others: The Bible commands us to speak up on the behalf of those that are opressed and ready to die. It does not tell us to be comfortable in our prosperity and ignore the needs of the poor because they don’t have all the power that we have. This is why Moses left the palace to help his people. And later he left a comfortable position as a shepherd to go back to serve his people at 80 years old. Also See Proverbs 31. To Summarize: worship and freedom are closely connected. Thats why God told Moses to say: “Let My People Go – THAT THEY MAY WORSHIP ME!” If you are not leading people into true worship you will not lead them into true freedom. And if you don’t have the heart to proclaim liberty to the captives, healing for the broken-hearted, and justice for the oppressed, they will never follow your example in worship. Humility and righteousness are much more Powerful Forces than pride and power politics. So when you see the wicked gaining ground… its not because the wicked are strong. Its because there are not enough of the righteous. Sometimes its because too many of the righteous have been killed, or may have died without duplicating their obedience in their children or followers. Many times its because too many of the the righteous have fallen into pride and power politics instead of humility and obedience. I love Italians, but I’m so glad that the Roman empire is over. I love the people of Iran and Iraq, but I’m so glad that Persia and Babylon no longer rule the world. I love Egyptians, but I’m really glad that I am no longer a slave to Pharoah. God loves the people of every nation, because he created them. However all of man’s empires will come to an end, and that’s OK. Empires end – not because we want them to, but because God brings them to an end. Say it with me: “The empire will end, and that’s okay…” Just because you hate the evil deeds of an empire of man (empires are violent by nature, because it takes violence to establish empire), doesn’t mean that you have hatred for the people of those nations. So many people who think they are speaking for God are speaking for the devil and don’t even know it. These are perilous times. Fall in love with truth and obedience. You won’t fully know the truth until you obey God. Until your obedience, you are subject to deception. This applies to your fellowship also. Stay away from the actors and performers of Gods word. Get close to the doers. Matthew 23 1Then Jesus said to the crowds and to his disciples: 2 “The teachers of the law and the Pharisees sit in Moses’ seat. 3 So you must be careful to do everything they tell you. But do not do what they do, for they do not practice what they preach.